Tucked away inside WAFI, the 14th century-style Khan Murjan Souk is truly a hidden gem – and one of the coolest souks in Dubai! Drawing inspiration from all corners of the Arab world, you can find everything including perfumes, antiques, clothes, herbs, and more! 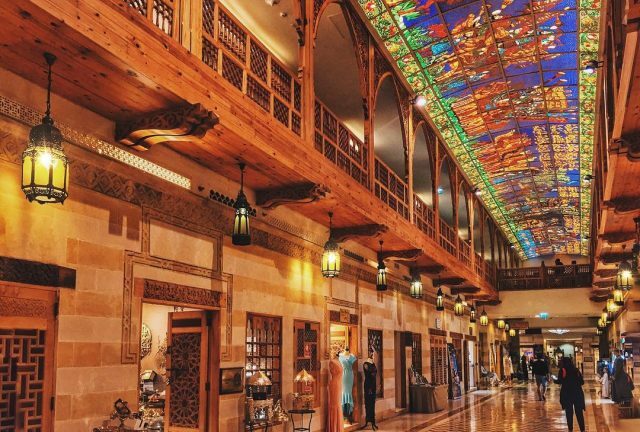 Whether you’re looking to buy gold or just window shop, there’s so much to check out at the Gold Souk Dubai! 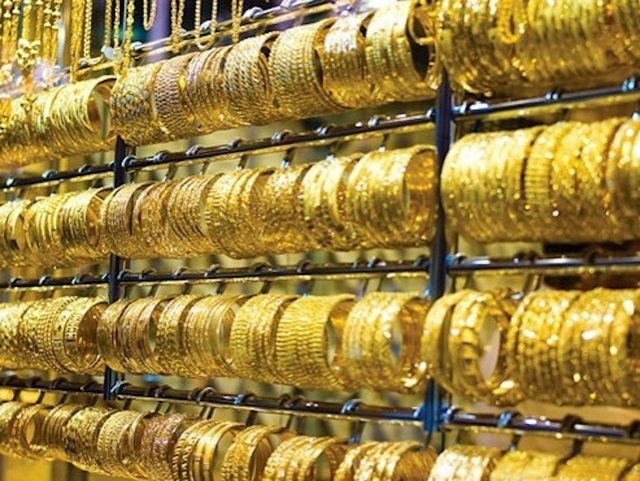 You’ll find gold chains, coins, earrings, statement pieces, and you may even get to check out the Najmat Taiba – the world’s largest golden ring! 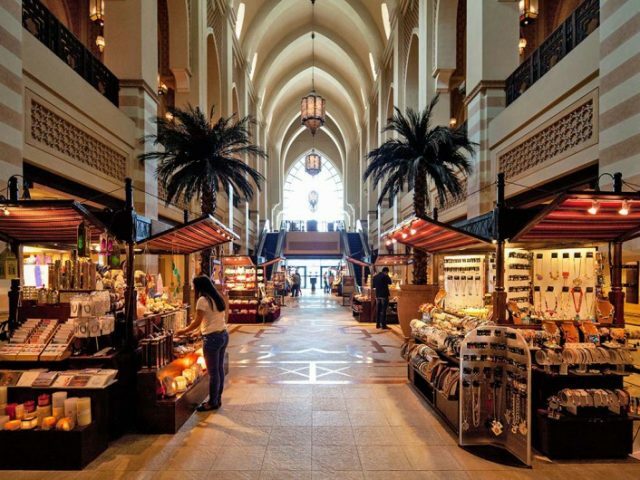 There’s a lot more to Souk Al Bahar than just waterfront restaurants and cool bars! Make your way downstairs and you’ll see plenty or art galleries, jewellery stalls, souvenir shops, carpet stores and more. Fancy creating your own perfume? Not only is it a great gift idea, but a super fun experience too! 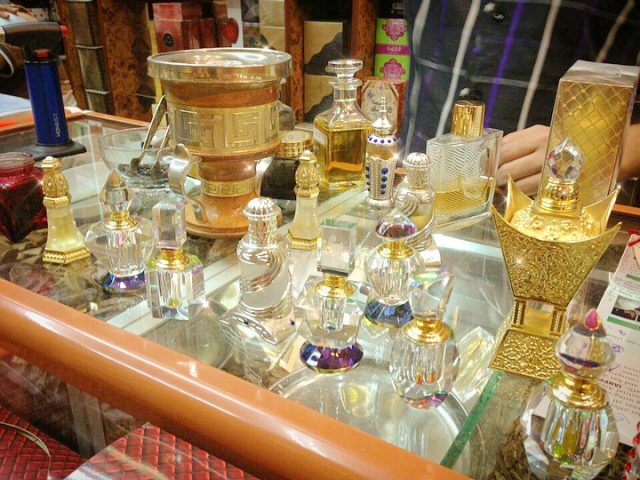 Make your way to the Deira Perfume Souk, and you’ll get to mix various scents together to create a personalized one. With hundreds of stalls and even more aromas, you’ll be spoiled for choice. 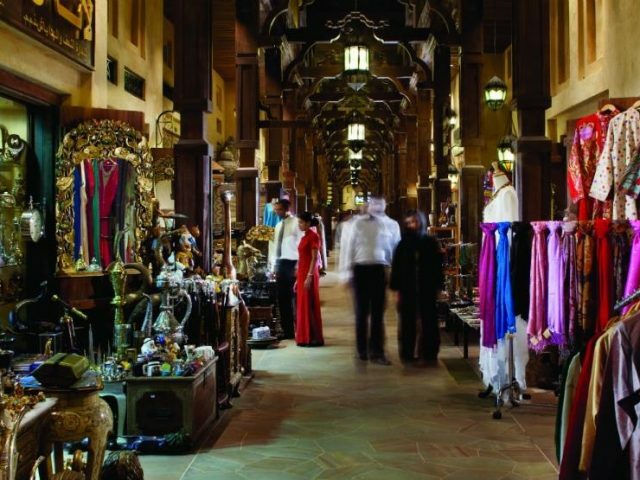 Compared to the other souks in Dubai, the vendors at Souk Madinat Jumeirah are pretty chill and won’t persistently try to make you spend. This traditional Arabian-style souk is a popular tourist destination, and has some great stalls too! You can pick up everything from shishas and funky furniture to souvenirs and customized gold-plated chains. 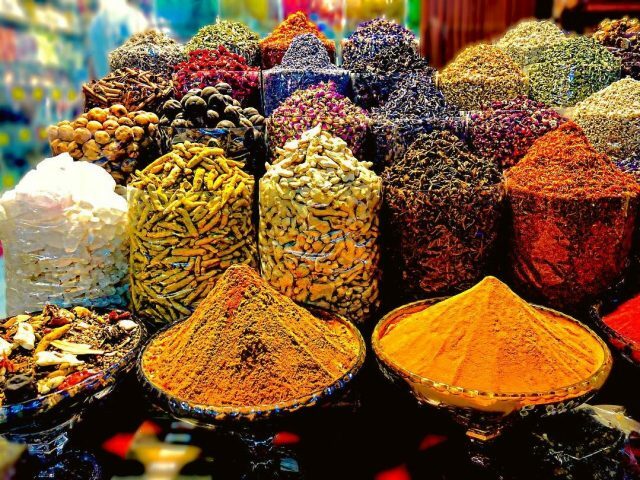 Looking to shop for local spices, herbs and dry fruits? 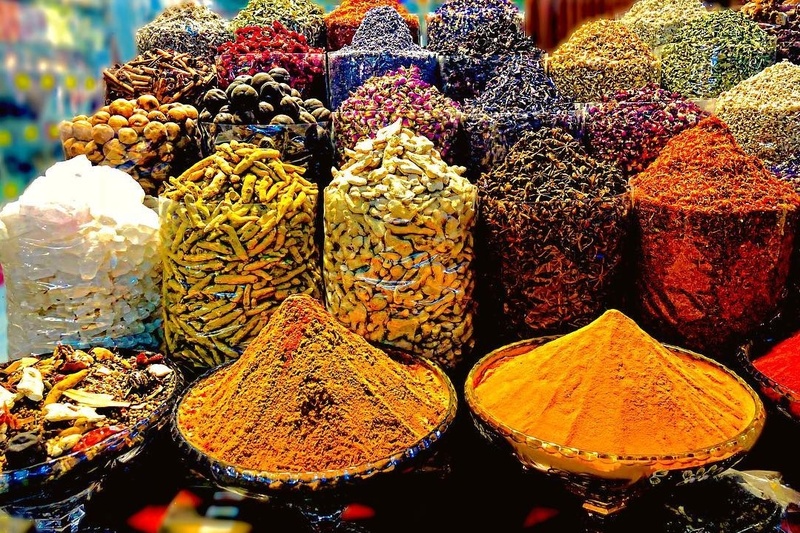 You can find it all, and more, at Dubai’s colourful Spice Souk Dubai The vendors here are super friendly, and have so much knowledge about every spice you can think of! Just around the corner from the Deira Old Souk Abra Station, this place is also filled with the best knick-knacks! Some great things to look out for are ethnic-style accessories, glass-painted ornaments and home decor. Read more: Looking for more things to do in Old Dubai? Check out our Explore section for more inspo.